Puppetry has been a popular art form for many centuries in different cultures, which becomes a valuable and fascinating heritage assert. Traditional Chinese marionette art with over 2,000 years history. Marionette head carving skills provide unique identities and characterisation for different characters, which plays important part for the story telling and stage performance. 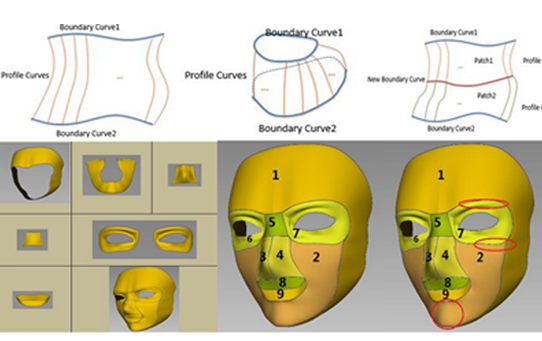 This paper addresses the heritage preservation of the marionette head carving by digitalizing the head models with a novel modelling technique using ordinary differential equations (ODEs) which can offer a useful function of smoothly sewing ODE swept patches to represent the distinct features of a marionette head with sharp variance of local geometry.